Progressing from a seasoned (cycled and stable) FO (Fish Only) or FOWLR (Fish Only With Live Rock) saltwater aquarium to a reef tank with corals isn't as complicated or difficult as it may seem. Doing the preparation before you introduce corals to your tank will greatly reduce the problems you may later incur as well as save you a lot of money and frustration. One of the most valuable tools a saltwater aquarist can have for solving tank problems is an accurate and well-kept tank or aquarium logbook. 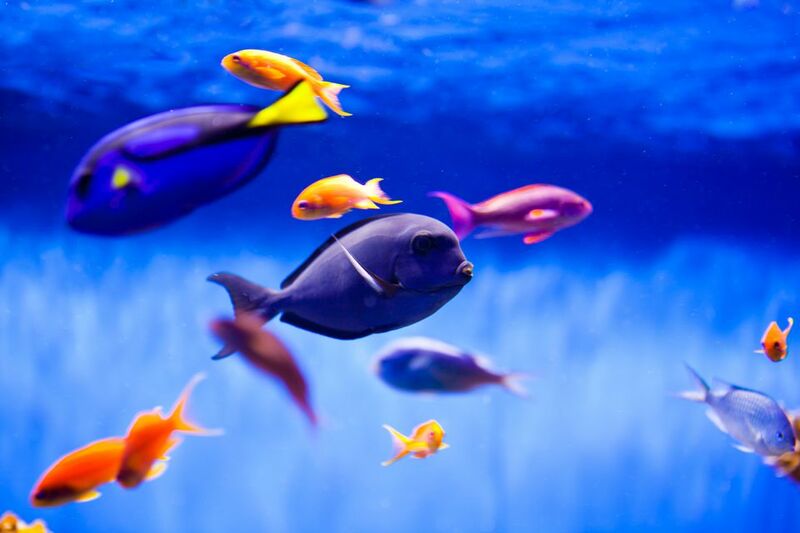 There are a number of free Aquarium Maintenance Software programs available which are easy to set up and use. Some of them even offer troubleshooting features. Investing the few minutes it takes to record test readings, equipment, and other changes and additions to your tank, as well as your observations (i.e. "Water a bit cloudy, Brown Algae appearing"), can pay off in a big way when troubleshooting problems or planning improvements. The lighting requirements for an FO or FOWLR tank are fairly flexible. Reef tank lighting requirements, on the other hand, are rather strict. Check the total wattage of your present tank lighting to see if it is powerful enough. The lighting rule of thumb for a healthy reef tank with SPS/LPS Corals, Anemones and/or Clams is 3.5 to 4.5 watts per gallon of tank water. If you can not bring your lighting up to this level, you might want to stay with Soft Coral species, which normally require a bit less lighting (2.5 to 3.5 watts per gallon). The "normal" lighting period for a reef tank is 12 hours on, 12 hours off. Extending the time the tank lights are on (say, to 14 hours) will increase the total lumens reaching your corals with your existing lights. Example: 257 watts for 14 hours is equivalent to 300 watts for 12 hours. How old are your bulbs? Most bulbs should be replaced every 9-12 months as their spectrums tend to fall with use. Upgrade your present lighting with new and/or additional lights. See ​top HO & PC fluorescent light fixtures for descriptions and sources. LED lighting for reef tanks has come a long, long way in the last few years. Still a bit pricey, but the payback for your investment happens quite quickly. Long (50,000 hours) bulb life and lower electric bills make LED's very appealing. Modify your present hood or canopy to accept higher light systems. See ​top PC & metal halide retrofit kits for kit descriptions and sources. Unlike many FO and FOWLR tank critters, a vast majority of corals, anemones, and many other reef tank occupants do not tolerate a number of toxins. At the same time, the corals in reef tanks require a steady supply of certain trace elements. Should be kept below 10 ppm. Corals and other reef invertebrates require water movement to flush waste away from the animal as well as move in oxygen and food. The addition of 1 or more powerheads to your tank will supplement existing water current. Corals come from tropical waters and are more sensitive to temperatures than most fish. Water temperatures from 80°F to 85°F seem to work best for a vast majority of corals. Many fish and invertebrates are not suitable for reef aquariums as they will feed on the coral polyps and/or the zooxanthellae algae they contain. Before introducing corals or other new animals into your tank, do the research to see which of your present tank occupants will and/or will not be suitable as well as which corals may work best in your tank. Most corals and invertebrates require different types of foods than saltwater fish. They also require different feeding methods. Plan ahead and obtain (or make) the proper foods before you buy your corals.